We say it all the time, but man-oh-man do we get to work with some rad people! Francois & Jane came all the way from Melbourne, Australia to tie the knot at Rockhaven Farm and celebrate at the Old Mac Daddy in the Elgin Valley. It was a small, intimate wedding of only 40 guests where everyone ate at one big table, kind of more like a dinner party, but with more dancing, happy tears and a bride and groom. Francois and Jane are some of the coolest, sweetest and motherflippen good-looking people we've ever met. Yes. Ever. If they stayed in Cape Town we'd totally be best friends with them. So we were bummed when Francois graciously asked us not to share pictures of him on the interweb. He explained his reasons and we understand his desire to keep their intimate wedding, well, intimate. 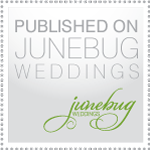 We'll always respect our clients wishes, but it really was tough looking at one of the best weddings we have ever covered, and realizing we could not share any of it with you, friends. We know you'd love them too. Anyway friends, that's enough rambling from me and this post should have been up hours ago! Francois and Jane, we really hope that one day you'll live in Cape Town so we can be maatjies (best buddies, for those not from South Africa). Thank you for allowing us to share your intimate and super beautiful wedding with you, we hope you know how lucky we feel! youguysareawesome. The colorful details in contrast with the white and the wood look so great!! I'm sure it looked even more amazing after sunset. You don't see something like this everyday! Absolutely beautiful pictures. Just got engaged there and so cool to see great pics of the awesomeness we just experienced!! Me and Marike looked at that hall and dreamed of what we can do with it. Thanks Travis and Maike for sharing these. I can't believe this venue and that it's in our own beautiful country! I love the wood on wood, so calming.